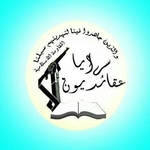 Saraya Aqa'idiyun ("Brigades of those of ideology/doctrine") is a Shi'a militia in Iraq, officially the military wing of the "Harakat Aqa'idiyun al-Islamiya" and mainly based in Basra. The militia's formation was announced in the summer of 2014 on account of Iraq's security crisis and the "falling of areas into the hands of terrorism," besides answering the call for mobilization from the religious marja'iya in Najaf. The group also called for the training of new recruits. Areas of operation claimed by Saraya Aqa'idiyun have included the Baghdad Belt and Jurf al-Sakhr. Ideologically, the militia's orientation is anti-American, declaring on its Facebook page: "We don't fear America, Israel or any land. Labbayk ya qa'im Al Muhammad." Saraya Aqa'idiyun may have had a role via a prior manifestation through its 'political wing' in Shi'a militia deployments to Syria. In a Facebook post in August 2014, the group wrote: "Saraya Aqa'idiyun: just as we fought and defended our lord Sayyida Zainab, today we fight in defence of the holy sites. Labbayk ya Zainab. Labbayk ya Hussein."